Paper Made Bakery: Happy Saturday! So, I plum forgot about the holiday today. are so fresh and vibrant. Sweet Stamp Shop Old Fashioned Afternoon stamp set. 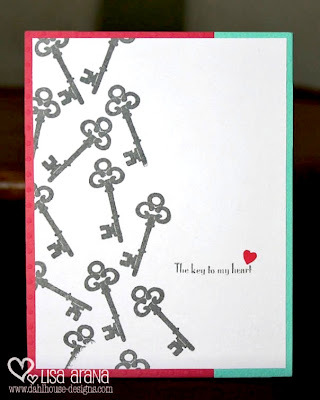 "the key to my heart." added a sweet little heart to finish it off. LOVE the color blocked background! Too cute! !